Does anyone have ideas on how to play the muted chords a different way? I find it quite odd and hard to follow with singing ?? 0 works best for me when singing. During the verses I did strum slap strum strum slap. Then during the muted part I played one strum per line. And DDUUDU during the chorus. 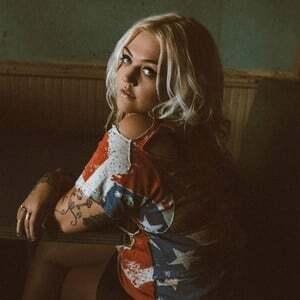 Elle King is an anti-folk artist. Born in Ohio and raised in Brooklyn by her mother (after separating from her father, comedian Rob Schneider), she retains her roots in a style that blends those two worlds of both grit and mid-western charm. She often draws comparisons to Billie Holiday, Duffy, Regina Spektor and Adele. Miss King cites old blues, rock n' roll, and greats like Johnny Cash as her biggest influences. Featured in an issue of Love magazine and February's V Magazine as well as creating buzz amongst music bloggers everywhere.